When asked to assist the neighborhood by doing and Angel only patrols you truly need someone who knows the ropes and that is where “Que” comes in. 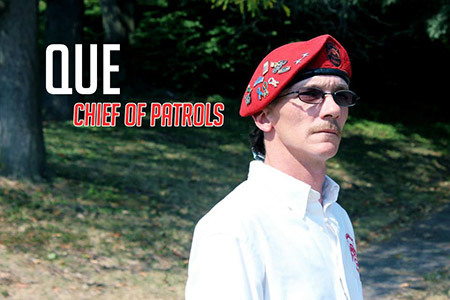 There are very few communities that “Que” doesn’t have the scoop on so it is his job to learn the demographics and find out who the players are so that a patrol route can be planned to ensure that the Guardian Angels can patrol safely by knowing the rules of the game. Que also supervises the alternative sentence community services workers. Que has (3) children that make up the Jr Angel group. Despite his busy schedule Que is always finding time to stay Angel active and live and works in Brooklyn MD.